Flexitime Fast & Scan is a line of fast-setting VPS impression materials that can be scanned without powder or additional surface treatment. It is indicated for all standard impression techniques. Flexitime Fast & Scan working time is up to 1 ½ minutes and final setting time is 2 minutes. 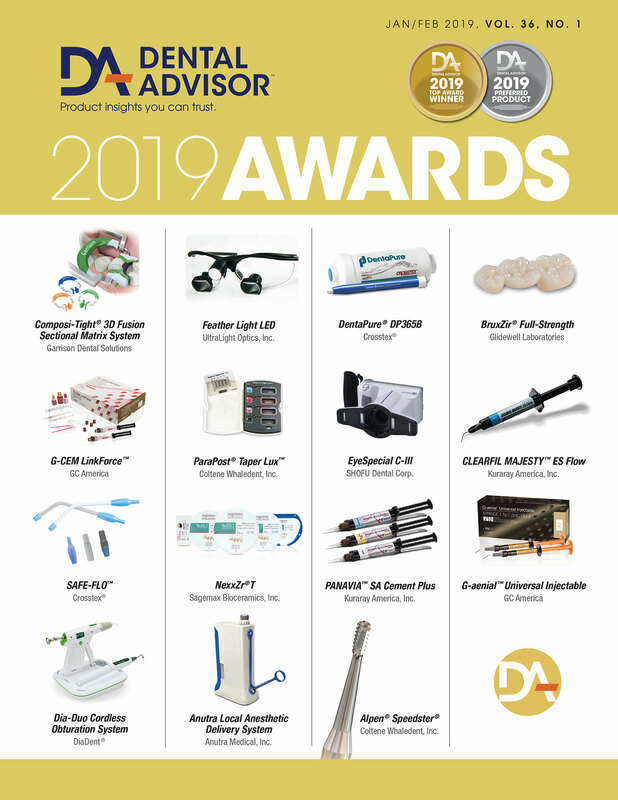 The Flexitime Fast & Scan line includes: Flexitime Easy Putty (available in 300 ml jars), Dynamix Putty and Dynamix Heavy tray materials (available in 380ml) 5:1 cartridges for dynamic mixing machines) and Flexitime Medium Flow and Light Flow wash materials (available in 50 mL, 1:1 automix cartridges with 12 mixing tips). Flexitime Fast & Scan was evaluated by 28 consultants in 313 uses. This scannable impression material received an 86% clinical rating. Flexitime Fast & Scan provides very good detail for crown and bridge impressions. The pastel colors are harder to read than deeper colors, but they enhanced imaging with some impression scanners. Some dental offices scan impressions for CAD/CAM restoration fabrication, and many dental laboratories also scan impressions for digital design of restorations. Dentists and laboratory technicians were able to scan Flexitime Fast & Scan without the use of powder. The putty is soft and easy to mix by hand to a homogeneous color. Its heavy consistency pushes the light-body material into the sulcus. The fast setting time is ideal for cases involving one to three units. 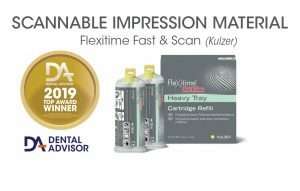 Twenty-one percent of consultants rated Flexitime Fast & Scan better than other impression materials they were using and 32% rated it to be equivalent. Thirty-six percent would switch to Flexitime Fast & Scan and 61% would recommend it to a colleague. After loading the putty into the tray, place an indentation in the approximate area of the preparation to avoid displacing all of wash material. Place light/medium-body material on teeth adjacent to the preparation. This will aid in capturing the cervical anatomy of these areas where the putty alone would not adapt beyond the height of contour. Use ½ scoop of Easy Putty for a quadrant impression.